Horse-drawn sleigh rides are happening daily over the holiday season until Sunday, January 6, 2019 at Fernie Alpine Resort. Photo courtesy of Tourism Fernie/Nancy Gillis. This is technically something you have to do BEFORE January, but since it involves going to the mountains in January (and beyond) it’s worth mentioning here that you can get a 20-per cent discount on your 2019 Parks Canada family/group Discovery Pass if you purchase it by December 31, 2018. Another important date (and time) regarding the National Parks is January 9, 2019 at 8 a.m. MST, which is when 2019 campground and backcountry hike reservations will start being taken. So, if you want to lock down an oTENTik this summer, make sure to mark your calendar. 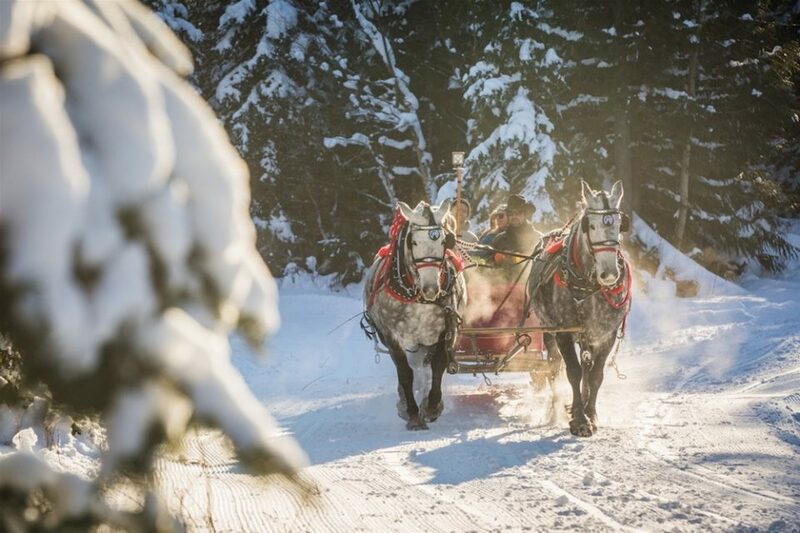 Horse-drawn sleigh rides are happening daily through the Christmas holiday season until Sunday, January 6​, 2019 at Fernie Alpine Resort. Daytime rides cost $15 per person. You can also arrange for a private evening sleigh ride for up to 11 guests for $165. To book, call the resort’s Guest Services at 250-423-2435. Considering he grew up in the American south, it’s unlikely that Elvis Presley was much of a skier. Regardless, Banff Sunshine Ski Resort is offering free skiing/snowboarding on the King’s birthday (January 8) if you show up in an Elvis costume. Having an après-ski beer is even better when the beer you’re enjoying was created in honour of the place you were skiing. Back in 2016, the Banff Avenue Brewing Co. produced its “Norquay 90” beer to celebrate the Banff resort’s 90th anniversary (yep, people have been skiing at Norquay since 1926). In the past four years they’ve continued producing new Norquay beers, including this season’s Norquay 93, a German-style Hefeweizen, available (naturally) at Norquay’s Lone Pine Pub. Banff’s 2019 SnowDays Winter Festival will include a snow-sculpting competition this year. Six teams (Canadian and international) will create the sculptures between Thursday, January 17 and Saturday, January 19 on Bear Street and you can view the completed sculptures through the end of SnowDays, which runs January 16 to 27. SnowDays in Banff runs concurrently with the Ice Magic Festival at Lake Louise — an annual event built around an international ice-sculpture competition. This year marks the 25th anniversary of Ice Magic. Over the course of the festival there will be a special cocktail menu at the outdoor Ice Bar on the grounds of the Fairmont Chateau Lake Louise. If you’re too cold for the Ice Bar, you can sample the cocktails in the cozy confines of the hotel’s Alpine Social lounge. Snow safety training is a must for anyone who enjoys winter recreation in the backcountry, whether that’s skiing or snowboarding outside the confines of a ski resort, snowshoeing, or snowmobiling. As a popular hub for all those types of activities, Golden, B.C. is also a natural choice to study and practice avalanche awareness and safety techniques. The local Golden Snowmobile Club (a.k.a. Sled Golden) is promoting avalanche awareness on Saturday, January 19 with discounted day tickets to three of the managed snowmobiling zones for anyone with proof of avalanche awareness certification and snow-safety related activities in the Quartz Creek area with prizes. There will also be a cash-donation barbecue on the deck of Quartz cabin from noon to 2 p.m.
World Snow Day is an initiative of the FIS (Fédération Internationale de Ski), but non-skiers can also enjoy the FIS World Snow Day festivities taking place Saturday, January 19 and Sunday, January 20 at Lake Louise Ski Resort with 50 per cent off on family snow-tubing, two-for-one sightseeing gondola admission and guided snowshoe tours for $85. Ski-related World Snow Day promotions at Lake Louise include discounts on lessons and free skiing for kids 12 and under. Whether you prefer downhill or cross-country skiing, this event is all about raising funds for the heart and stroke foundation. Participants must raise at least $500 to be eligible for special room rates at the Fairmont Chateau Lake Louise during the celebration weekend on Friday, January 25 and Saturday, January 26 (starting at $159). Along with the skiing events, the schedule includes a meet-and-greet reception, curling on Lake Louise and après-ski festivities with hors d’oeuvres and awards presentations. For more information or to register online go to skiforheart.ca. Australians make up a huge component of the seasonal staff at Canadian ski resorts, which is why you’ll find Australia Day (January 26) celebrated in most ski towns in Western Canada. At Kicking Horse Mountain Resort they’re going all out with official Aussie Day festivities from 11 a.m. to 3 p.m. at the Heaven’s Door Yurt. Aussies and non-Aussies alike can enjoy a cricket tourney, snow bar, burgers topped with fried eggs, pineapple and beetroot and the music of the Triple J Hottest 100, an annual roundup of the 100 most popular songs as voted by listeners of the Australian radio station Triple J, broadcast each year on the National holiday. The Banff arts community has launched a monthly gallery hop event that continues until June. 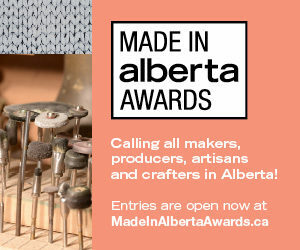 There are eight regular galleries and museums participating (the list includes commercial galleries in Banff, as well as the Whyte Museum and the Buffalo Nations Museum) with additional venues added from month to month. 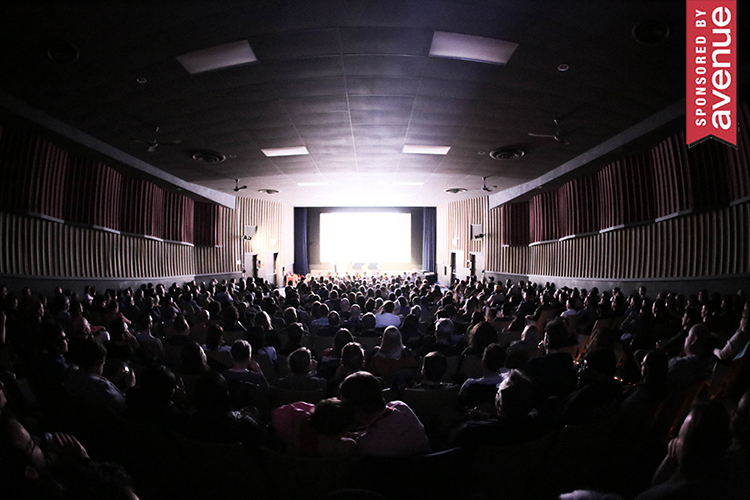 During the hop, the participating venues offer unique programming, such as artist demonstrations, refreshments and live music. The next one is on Saturday, January 26, from 2 to 6 p.m. Hop on the complementary “Art Bus” if you want a ride between galleries.